Luis Castillo, D.C., is a chiropractor located in Miami, FL. Take the next step and contact Dr. Luis Castillo, D.C., for a consultation in Miami, FL or to get more information. Alan Mandell, D.C., is a chiropractor located in Miami, FL. Techniques: • Diversified • Gonstead • Cox • Hole in One Take the next step and contact Dr. Alan Mandell, D.C., for a consultation in Miami, FL or to get more information. Charles Isidore D.C., CCEP, D.C.
Charles Isidore D.C., CCEP, D.C., is a chiropractor located in Miami, FL. Techniques: • Activator Methods • Chiropractic Biophysics • Diversified • Thompson Take the next step and contact Dr. Charles Isidore D.C., CCEP, D.C., for a consultation in Miami, FL or to get more information. Karen D Amar, D.C., is a chiropractor located in Miami, FL. Take the next step and contact Dr. Karen D Amar, D.C., for a consultation in Miami, FL or to get more information. Rafael A Codinach, D.C., is a chiropractor located in Miami, FL. Take the next step and contact Dr. Rafael A Codinach, D.C., for a consultation in Miami, FL or to get more information. Susan Exposito, D.C., is a chiropractor located in Miami Beach, FL. Techniques: • Activator Methods • Diversified • Manual Adjusting • Motion Analysis (Palpation) • Trigger Point Therapy Take the next step and contact Dr. Susan Exposito, D.C., for a consultation in Miami Beach, FL or to get more information. Anthony De La Cruz, D.C.
Anthony De La Cruz, D.C., is a chiropractor located in Miami, FL. Take the next step and contact Dr. Anthony De La Cruz, D.C., for a consultation in Miami, FL or to get more information. John J Gentile, D.C., is a chiropractor located in Miami, FL. Techniques: • Diversified • Manual Adjusting Take the next step and contact Dr. John J Gentile, D.C., for a consultation in Miami, FL or to get more information. Eric L Engelmann, D.C., is a chiropractor located in Miami Springs, FL. Techniques: • Activator Methods • Diversified • Logan Basic • Motion Analysis (Palpation) • Thompson • Traction Take the next step and contact Dr. Eric L Engelmann, D.C., for a consultation in Miami Springs, FL or to get more information. Mark A Cerededa, D.C., is a chiropractor located in Miami, FL. Take the next step and contact Dr. Mark A Cerededa, D.C., for a consultation in Miami, FL or to get more information. John R Romano, D.C., is a chiropractor located in Miami Beach, FL. Techniques: • Activator Methods Take the next step and contact Dr. John R Romano, D.C., for a consultation in Miami Beach, FL or to get more information. Gary A. Robertson, D.C., is a chiropractor located in Miami, FL. Techniques: • Palmer Package • Chiropractic Biophysics • Diversified Take the next step and contact Dr. Gary A. Robertson, D.C., for a consultation in Miami, FL or to get more information. Olivio Blanco, D.C., is a chiropractor located in Miami, FL. Take the next step and contact Dr. Olivio Blanco, D.C., for a consultation in Miami, FL or to get more information. Maria Del Campillo, D.C., is a chiropractor located in Miami, FL. Techniques: • Diversified • Thompson • Acupuncture Take the next step and contact Dr. Maria Del Campillo, D.C., for a consultation in Miami, FL or to get more information. Maria T Nodarse, D.C., is a chiropractor located in Miami, FL. Take the next step and contact Dr. Maria T Nodarse, D.C., for a consultation in Miami, FL or to get more information. Jason A Bailey, D.C., is a chiropractor located in Miami, FL. Take the next step and contact Dr. Jason A Bailey, D.C., for a consultation in Miami, FL or to get more information. A G Cole, D.C., is a chiropractor located in Miamisburg, OH. Techniques: • Palmer Package • Gonstead • Activator Methods Take the next step and contact Dr. A G Cole, D.C., for a consultation in Miamisburg, OH or to get more information. Todd Sussman, D.C., is a chiropractor located in Miami, FL. Take the next step and contact Dr. Todd Sussman, D.C., for a consultation in Miami, FL or to get more information. Lee E Fraum, D.C., is a chiropractor located in Miami, FL. Techniques: • Palmer Package • Hole in One • Toggle Recoil • Pierce • Thompson Take the next step and contact Dr. Lee E Fraum, D.C., for a consultation in Miami, FL or to get more information. Jose R Reyna, D.C., is a chiropractor located in Miami, FL. Techniques: • Activator Methods • Heat Therapy • Electric Stimulation Take the next step and contact Dr. Jose R Reyna, D.C., for a consultation in Miami, FL or to get more information. Robert S Frankl, D.C., is a chiropractor located in Miami Shores, FL. Techniques: • Meric Take the next step and contact Dr. Robert S Frankl, D.C., for a consultation in Miami Shores, FL or to get more information. Ray Ravago, D.C., is a chiropractor located in Miami, FL. Techniques: • Toggle Recoil • Diversified • Gonstead • Thompson • Pierce Take the next step and contact Dr. Ray Ravago, D.C., for a consultation in Miami, FL or to get more information. Paul Canali, D.C., is a chiropractor located in Miami, FL. Techniques: • Network Take the next step and contact Dr. Paul Canali, D.C., for a consultation in Miami, FL or to get more information. Sigrid Nilssen, D.C., is a chiropractor located in Miami Beach, FL. Take the next step and contact Dr. Sigrid Nilssen, D.C., for a consultation in Miami Beach, FL or to get more information. Eric G Friedman, D.C., is a chiropractor located in Miami, FL. Take the next step and contact Dr. Eric G Friedman, D.C., for a consultation in Miami, FL or to get more information. Michael P Weinreb, D.C., is a chiropractor located in Miami, FL. Techniques: • Thompson • Gonstead • Sacro Occipital Technique • Hole in One • Palmer Package Take the next step and contact Dr. Michael P Weinreb, D.C., for a consultation in Miami, FL or to get more information. Jerome D Harold, D.C., is a chiropractor located in Miami Shores, FL. Techniques: • Meric Take the next step and contact Dr. Jerome D Harold, D.C., for a consultation in Miami Shores, FL or to get more information. Andrew Schmer, D.C., is a chiropractor located in Miami, FL. Take the next step and contact Dr. Andrew Schmer, D.C., for a consultation in Miami, FL or to get more information. Gordon Frankel, D.C., is a chiropractor located in Miami, FL. Techniques: • Diversified Take the next step and contact Dr. Gordon Frankel, D.C., for a consultation in Miami, FL or to get more information. Joseph W Accurso, D.C., is a chiropractor located in Miami, FL. Techniques: • Thompson • Logan Basic Take the next step and contact Dr. Joseph W Accurso, D.C., for a consultation in Miami, FL or to get more information. David D Gackstetter, D.C., is a chiropractor located in Miami, FL. Techniques: • Applied Spinal Biomechanics Engineering • Diversified • Activator Methods Take the next step and contact Dr. David D Gackstetter, D.C., for a consultation in Miami, FL or to get more information. Donald Freedlander, D.C., is a chiropractor located in Miami, FL. Take the next step and contact Dr. Donald Freedlander, D.C., for a consultation in Miami, FL or to get more information. Stacey Greene, D.C., is a chiropractor located in Miami, FL. Techniques: • Diversified • Network • CranioSacral Therapy • Toggle Recoil Take the next step and contact Dr. Stacey Greene, D.C., for a consultation in Miami, FL or to get more information. 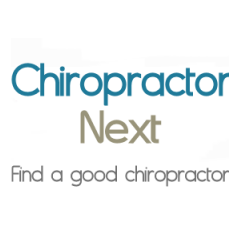 Douglas G Weekley Jr, D.C.
Douglas G Weekley Jr, D.C., is a chiropractor located in Miamisburg, OH. Techniques: • Applied Kinesiology • Sacro Occipital Technique • Diversified • Cox • Thompson Take the next step and contact Dr. Douglas G Weekley Jr, D.C., for a consultation in Miamisburg, OH or to get more information. Cora B Llera, D.C., is a chiropractor located in Miami Beach, FL. Take the next step and contact Dr. Cora B Llera, D.C., for a consultation in Miami Beach, FL or to get more information. Jose DeJesus, D.C., is a chiropractor located in Miami, FL. Techniques: • Diversified • Activator Methods • Gonstead Take the next step and contact Dr. Jose DeJesus, D.C., for a consultation in Miami, FL or to get more information. Craig Brass, D.C., is a chiropractor located in Miami, FL. Techniques: • Logan Basic • Diversified Take the next step and contact Dr. Craig Brass, D.C., for a consultation in Miami, FL or to get more information. Daniel Abeckjerr, D.C., is a chiropractor located in Miami, FL. Techniques: • Diversified Take the next step and contact Dr. Daniel Abeckjerr, D.C., for a consultation in Miami, FL or to get more information. Jose J De Goti, D.C.
Jose J De Goti, D.C., is a chiropractor located in Miami, FL. Take the next step and contact Dr. Jose J De Goti, D.C., for a consultation in Miami, FL or to get more information. L Felipe Castro-Mendivil, D.C., is a chiropractor located in Miami, FL. Take the next step and contact Dr. L Felipe Castro-Mendivil, D.C., for a consultation in Miami, FL or to get more information. Brian Logan, D.C., is a chiropractor located in Miami, FL. Techniques: • Logan Basic • Nimmo • Sacro Occipital Technique • Gonstead Take the next step and contact Dr. Brian Logan, D.C., for a consultation in Miami, FL or to get more information. Juan Alverez, D.C., is a chiropractor located in Miami, FL. Take the next step and contact Dr. Juan Alverez, D.C., for a consultation in Miami, FL or to get more information. Andrew Sands, D.C., is a chiropractor located in Miami, FL. Take the next step and contact Dr. Andrew Sands, D.C., for a consultation in Miami, FL or to get more information. Henry M Rubinstein, D.C., is a chiropractor located in Miami, FL. Techniques: • Pettibon Take the next step and contact Dr. Henry M Rubinstein, D.C., for a consultation in Miami, FL or to get more information.